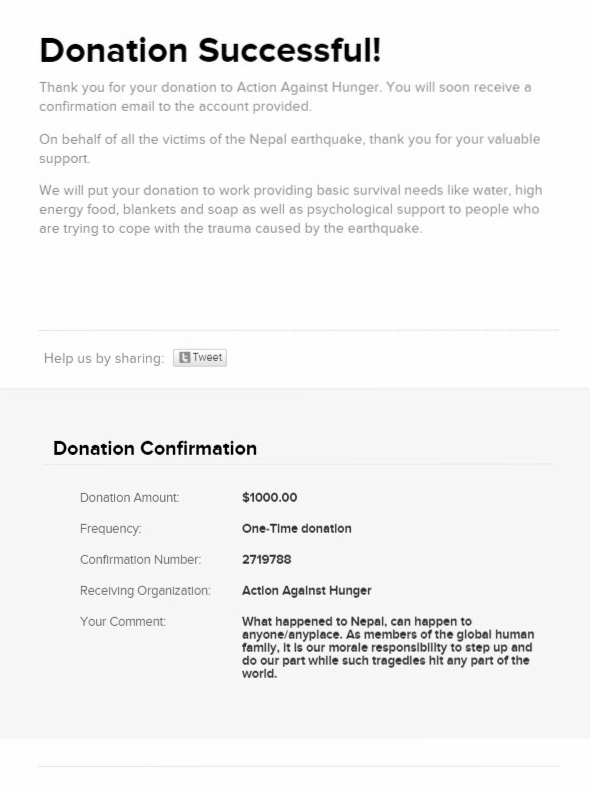 As we had promised, we were able to raise $1,000 for Nepal during the month of May. Please see the receipt below. Thank you for taking part in this as 6% of your order amount went to Nepal. We thought people might respond positively, but unfortunately our sales were lower than other months. There is only so much good a business can do if consumers don't respond positively! 6% of all sales in the Month of May will be donated to Action Against Hunger USA for recovery efforts in Nepal. 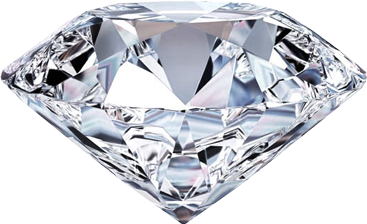 If you are planning on purchasing a diamond engagement ring or other diamond jewelry from Petra Gems, please consider doing so in the month of May 2015. 6% of all sales in the Month of May will be donated to Action Against Hunger USA for relief efforts in Nepal. The country was hit by a 7.8 magnitude earth quick; taking the lives of over 5,000 people and injuring over 10,000. It has also destroyed homes, building and other critical infrastructure in a country that is already struggling from acute poverty. After paying for all operational expenses and cost of goods, our net profit is usually within 6-10%. We would like to commit 6% of all sales amount to the recovery of Nepal in this critical time. Every customer that makes a purchase through Petra Gems in May 2015 will receive proof of total funds transferred to Action Against Hunger in the month of June. You might think that June would be too late for this assistance. As a humanitarian worker myself, I can assure you that this is when funds will be most needed. Often organizations rush to respond to such tragedies in the first few weeks. Once the media coverage is over so is the interest of political leaders and other prominent organizations to further support these marginalized people in their recovery which might take months or even years. Your will support will critically help this recovery. Learn more about Action Against Hunger’s work in Nepal. Charity Navigator has given Action Against Hunger an excellent rating.